What’s up with this mob mentality? We love a supportive fanbase, but it is possible to take things too far. 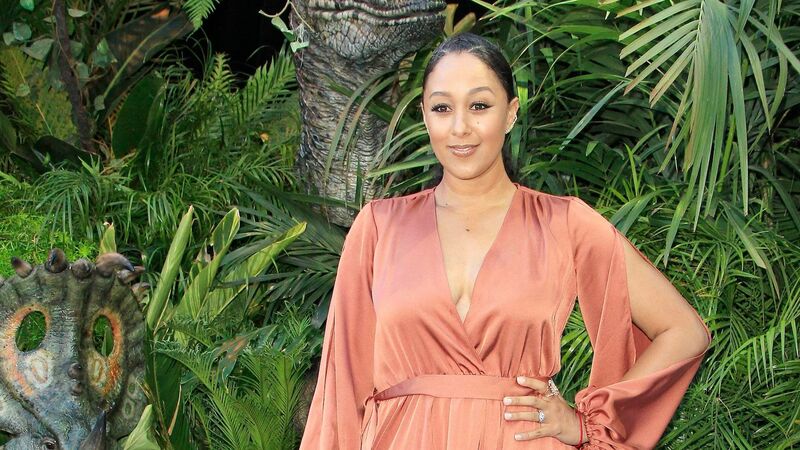 On Wednesday, Tamera Mowry-Housley revealed that she once low-key flirted with rapper Jay-Z at a movie premiere in the ’90s. More specifically, she told her cohosts on The Real that when she and her sister, Tia Mowry-Hardrict, attended the Nutty Professor premiere in 1996 — a full 23 years ago — that she was struck by Jay-Z’s charm. Now the BeyHive is attacking her non-stop, which is more than a little outrageous. Mowry-Housley also clarified that she was just 23 years old at the time, meaning her husband Adam Housley wasn’t in the picture yet. It was also a whole six years before Beyoncé and Jay-Z collaborated on the smash-hit “Crazy In Love,” then went on to become a major power couple. However, the timeline hasn’t stopped Beyoncé’s legion of fans from leaving hundreds of bee emojis on Mowry-Housley’s Instagram, according to Cosmopolitan. They’re also leaving some less-than-savory comments. To reiterate: Mowry-Housley met Jay-Z 23 years ago, at a movie premiere. He gave her some gum. Although romantic comedies have made us all believe in the power of meet-cutes, it’s clear that nothing came of this particular interaction, so why the aggressive flooding of Mowry-Housley’s mentions? This isn’t the first time the BeyHive has gone after someone for allegedly treading on their favorite couple’s coattails. Sometimes, they’re defending their fave from bigoted comments by people like Kid Rock. Other times, they’re attacking women for something relatively innocuous. For example: after Rachel Roy seemingly responded to lyrics on Beyoncé’s Lemonade, she and her teenage daughter received threats from fans. Considering that Jay-Z admitted to cheating on his wife in 2017, perhaps the BeyHive is being cautious about trusting people who mention him outside of the context of his marriage, but surely he should take some blame, too. Mowry-Housley bringing up a brief encounter from more than two decades ago is hardly reason to send in the stinging swarms.